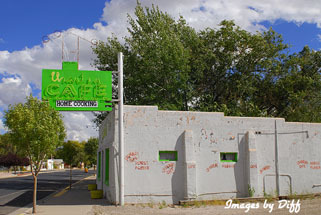 click photo to enlarge New Mexico certainly has some very interesting stretches of Route 66. There are areas that have been lovingly restored and areas of dirt road. 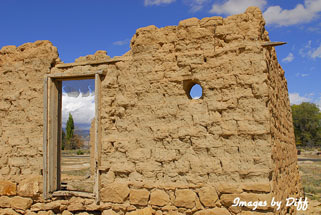 There ruins of businesses and restored businesses. I had a hard time deciding what to show so this page has more then the usual 5 pictures. 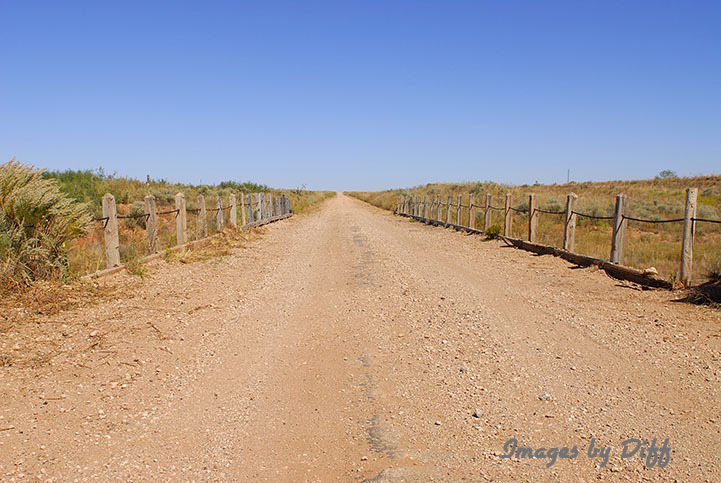 This dirt stretch is in eastern New Mexico. There are wooden bridges on this stretch. I'm not sure we saw a single car while driving it. click photo to enlarge This ruins of an old adobe motor court advertised modern restrooms. Since they were pit toilets I am not sure what constituted "Modern Restroom". Motor courts were the precursor to today's motel. They typically consisted of individual little cabins and were Mom and Pop operations. 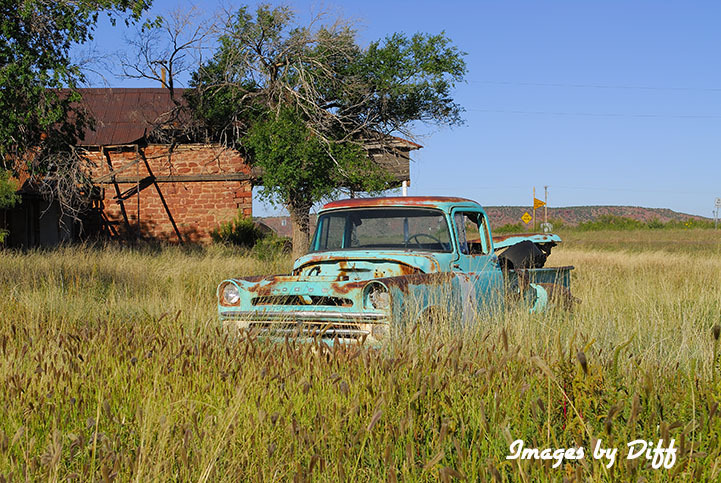 In the early days of motor travel they usually had shared restroom facilities. 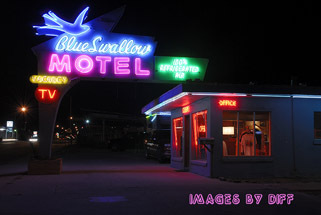 click photo to enlarge The Blue Swallow is a wonderful 50's era motel. 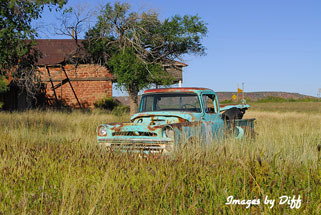 Each room has a garage and it is lovingly cared for. Before we took our room key the woman wanted us to check the room out. She was the caretaker and as proud as a peacock of the job she did cleaning the rooms. 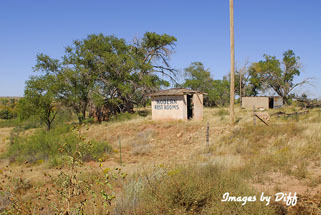 The Whiting Brothers service station below is the last one in operations today. 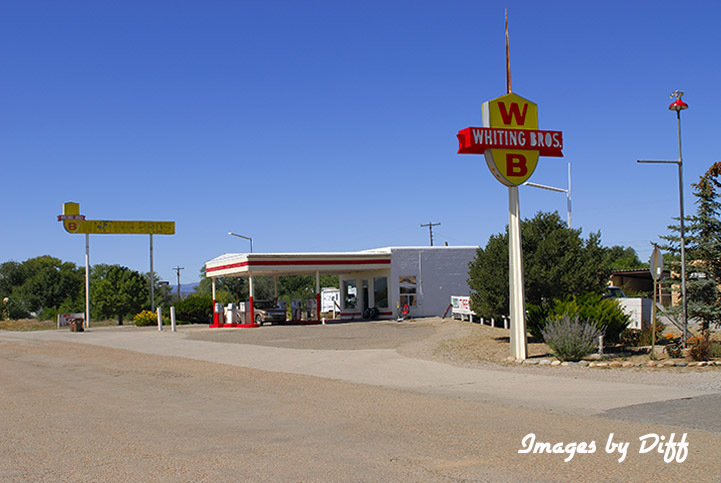 Whiting Bros. service stations, motels and gift shops were a common site along Route 66. I had planned on eating at the Uranium Cafe in Grants New Mexico and was sorry to see it was closed. It seems it has closed and reopened a couple times over the last 10 years or so. The building sure looked to be in good shape.